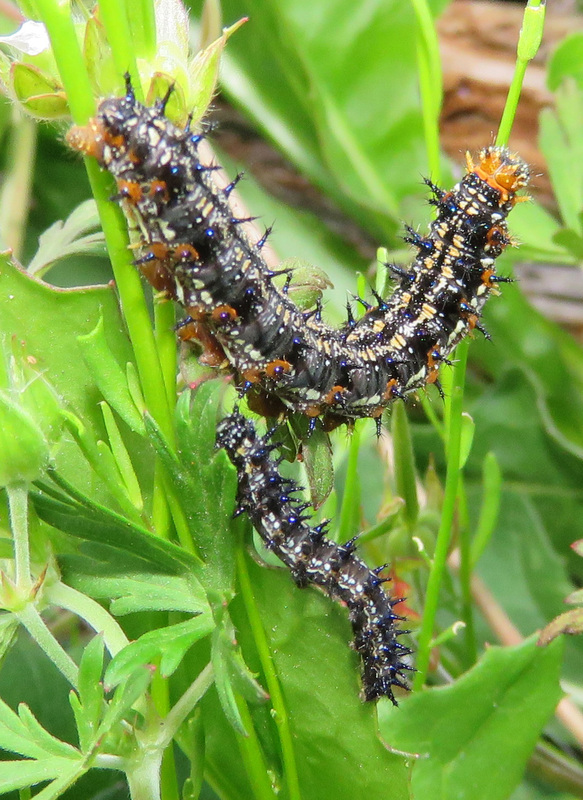 The other day I spotted these ornate caterpillars while I was weeding the garden. 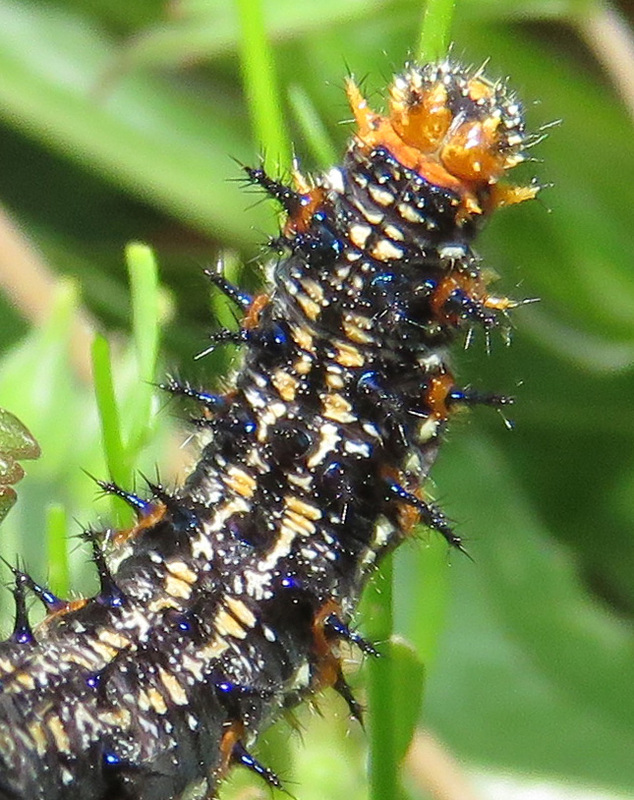 Close-up of the larger caterpillar. I was able to find out that they are the larvae of the Common Buckeye, which seems apt, because I have seen a greater number of those than usual this year. They can’t survive freezing temperatures, and they must have benefited from our mild winter. Here is one that I saw back on January 18 — maybe a parent of these two beautiful caterpillars! 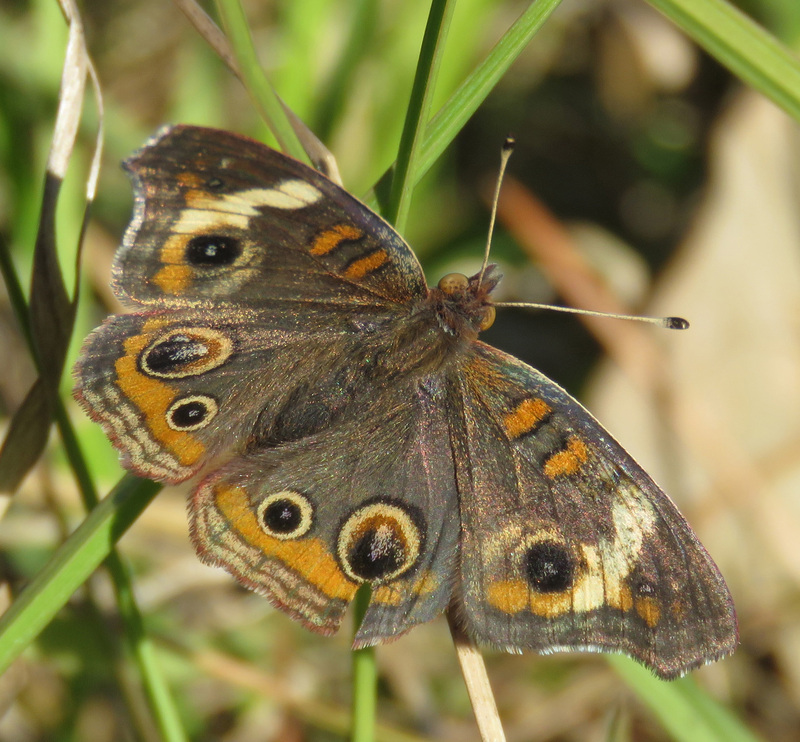 Common Buckeye butterfly, Junonia coenia. 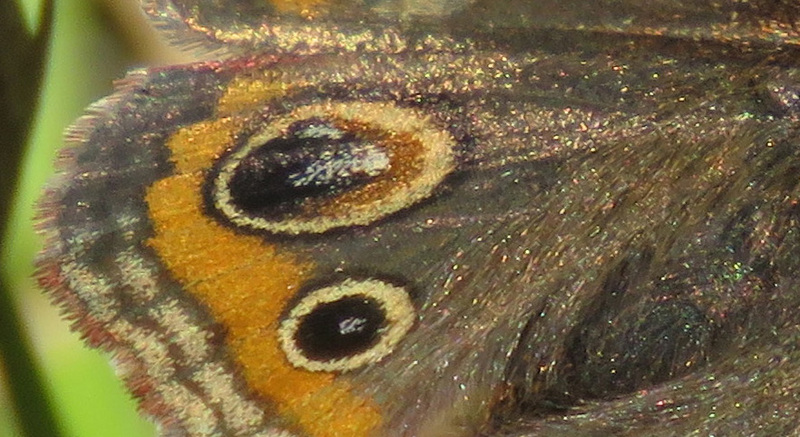 Close-up of the wing scales. Not all caterpillars are as gorgeous as they will be in butterfly form — many of the larva in the skipper family are nondescript smooth green blobs, and Giant Swallowtail larva look like bird droppings. But this is one case where both stages are equally intricate and interesting. Close ups are always so interesting! Yes, I found that all too true with the internet. You just can’t replace a good book. So I’ll be looking for books in our area!